A castle and stately home in Alnwick in Northumberland. 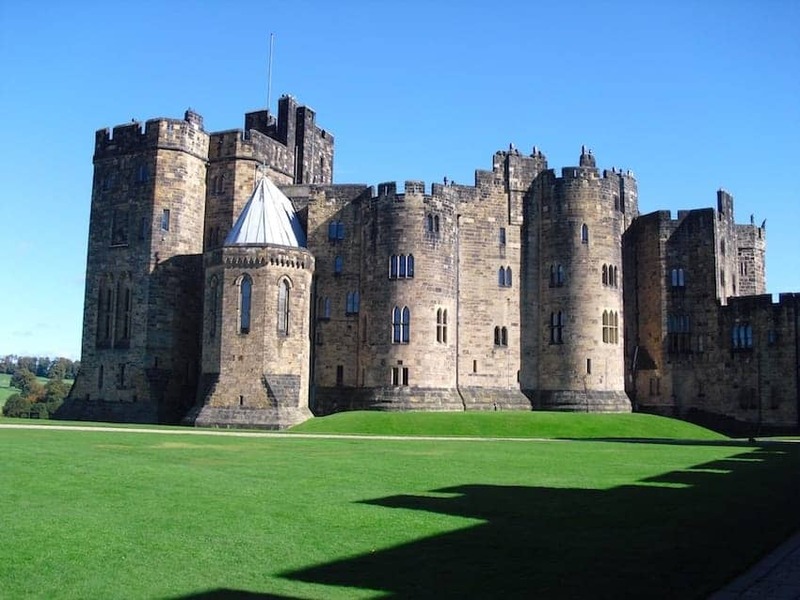 The Baron of Alnwick erected the first parts of the castle around 1096. Since then it was renovated and remodelled numerous times and became a major fortress along the Anglo-Scottish border. The principal rooms shown to the public today were redecorated in an opulent Italianate style. The castle has been used as a location in feature films including Hogwarts in the Harry Potter films. The current duke and his family live in the castle but occupy only a part of it. After Windsor Castle, it is the second largest inhabited castle in England.